There’s no breaking a defender’s spirit. They’ve got to be one of the most fearless and headstrong players on the field. It’s just how they’re built. Defenders are constantly getting into tackles, sometimes taking on strikers one on one. In just moments they need to get the ball back to their teammates. On paper, that doesn’t seem much compared to other positions. It takes only the best soccer cleats for defenders to equip them for all of that. ​There’s no one-size-fits-all kind of shoes when it comes to soccer cleats. In the same way, no soccer cleat is made specifically for a certain position. However, it comes down to the features each soccer cleat holds for defenders to make the best of their circumstances through skill-enhancing pairs of boots. We found five of them! 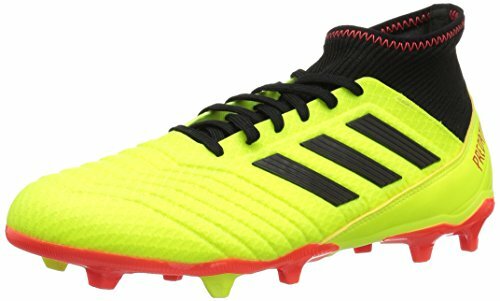 ​adidas Gloro 16.1 FG comes close to the likes of Copa Mundial when it comes to popularity, functionality, and construction. It’s built with superior materials from the inside out, like die-cut EVA rubber for the insole and authentic kangaroo leather for the upper. As for being named our best overall cleat for defenders, it’s all in the heel, studs, and inner lining. Those are three of the most important parts of a soccer cleat that directly affect a defender’s style of play. Amid the kangaroo leather of the upper, the heel is the only upper external part that is made with synthetic leather. For all the good qualities of authentic leather, it still can’t quite beat the firmness and stability of synthetic. Placing it on the heel counter, especially, is a design initiative that benefits defenders more in their tackles, turns, and every other move that requires them a strong fit of the cleat at the back. ​This locked-in fit is continued on to the inside of the cleat, the doing of the synthetic lining particularly. It also protects from the possible intense impact where the thin kangaroo leather might otherwise not be able to cushion the player’s feet from. The EVA insole offers this same cushioning, and as a result, adding comfort and effectivity to the stud configuration. They’re focused on the front and back for the quick maneuvers defenders are known to be the most good at. If you look from the top and the side views, you’ll see the curves and contours of the shoe that all aid in the accuracy of defender’s passes. Specifically, the instep of the Gloro 16.1 has a curve that could match the roundness of soccer balls and can be used to the maximum cleverness to direct the ball directly wherever you aim. ​Speed enabling cleats that’s light and easy on the feet. ​With the rebirth of Adidas’ Predator line also comes what the brand claims is an “elite level” cleat. 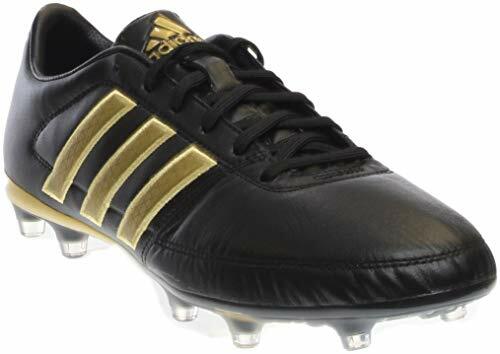 The Adidas Predator was replaced by the Ace line, but it’s the very same model that would overthrow it. The ​adidas Men’s Predator 18.3, the third iteration since the comeback, seems like the best soccer cleat worth the investment for a defender. It strays farther from the laceless feature of the 18+ with the prominent black laces against a bright background or vice versa. It’s one of the two features that makes this cleat fit the most snug. This is useful for a defender to fight and tackle when going for the ball. The other one is the sock-like liner that extends from where the tongue is supposed to be and around the back to the higher part of the heel. Essentially, it forms part of the upper under the laces and the ankle collar. You know it’s a good soccer cleat for a defender if it puts a big priority on a sock-like fit. Almost everything in the Predator 18.3 is focused on that. The ankle collar, the Primemesh knit upper, and an ergonomically designed interior that’s made to stick to your feet like second skin all are a priority. ​The shape of the cleat is made such that it allows for the correct and natural shape of your heel. This prevents any chafing or loose fit on the back of your feet, where it can seriously affect how you as a defender tackles and makes passes through high off the ground kicks. Layers of TPU provide comfort on the sole, extending from both the internal part to the external. Like the Gloro 16.1, this Predator incorporates very few studs sporadically spread out on the front and back of the outsole. This makes sure you have the necessary tools to chase after pacey spikers and outwit them in getting the ball back to your team. The triangular studs, the most coveted type for a defender, will give you just enough traction for boosting purposes when you’re about to make a move on the opponent. It’s also designed for a firm stabilization during tackles and duels, never missing an opportunity for a spontaneous kick or turn when needed. ​Easy turns and speedy movements for a great value. When there’s the word cheap in the title, you can always count on Dream Pairs to deliver the best in it. Though that’s not to say Dream Pairs can’t deliver high quality soccer cleats worth a higher price tag. Their specialty stands at giving players on a budget an option that won’t let them get behind other players, especially from the opposite team. Don’t be fooled by the name of ​D​ream Pairs Fashion Cleats either. They look dandy enough for casual stylish outfits, but they don’t lack the punch when it comes to the function. If anything, they are most fit for a defender because they copy the panache and mysterious skill of these players who we don’t see until the game is well into its most intense moments. For a significantly lesser amount, you will get the same mesh sockliner tongue and ankle collar that’s the same as in the Predator 18.3. Only this time it stops higher on the heel than the previous. ​It’s a good thing, having a physical proof of solid heel support and sock-like fit from the upper to the heel counter. It’s aided by a synthetic heel that also makes the rigid upper and, most importantly, a ridged instep. This not only makes for a good dribbling shoe, but it offers good ball touch on all sides of the shoe. A defender can literally kick anywhere and he will still have a pretty good chance of a solid pass. The rubber studs on this cleat, though crescent-shaped, are spread out evenly on the two extreme ends of the outsole. This makes it good for quick maneuvers specific for defenders’ skills and movements in the game. Not to mention the whole cleat is also lightweight, giving defenders a fair advantage in being quick and light in tackles. ​A high-performing shoe for a minimum amount. 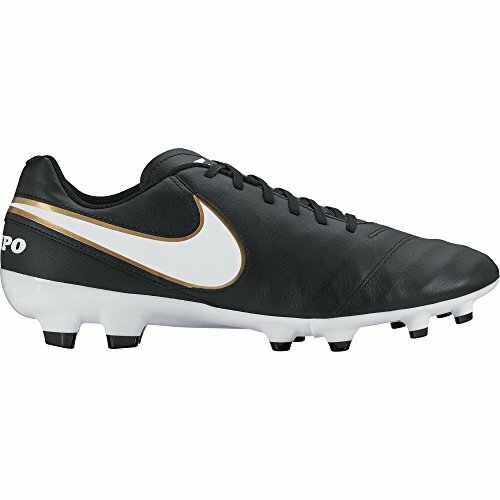 ​Moving on to Nike selections, the ​Nike Tiempo Genio II have got to be our best fashionable cleats in this list. The other three soccer cleats we’ve reviewed so far are not far out of the ordinary, but this one really exudes sleekness that can pass for fashion other than good soccer capabilities. Nevertheless, it still delivers the maximum offer when it comes to the features it has. Everything is proving to be very useful for a defender. This includes great fit, foam heel counter, strategic stud configuration, and an abundance of cushioning. The soft full-grain leather is a water-resistant protector. Many players have regarded it as one of the best when it comes to molding to your feet. It feels almost perfect to the shape, length, and width of your feet especially after the break-in period. Every wear afterwards will be a smooth-sailing experience. Despite the easy transformation of the material, it’s lined with a vacuum-pressed cushion the same as in the sole for a slight quilt, so it offers protection from high impact or contact when tackling. ​The same goes for the foam heel counter. The cushion makes sure the fit is impeccable and comfortable at the same time, leaving no space for your feet to slide out. The circular studs provide good technique adaptability on the part of the cleat. However your style of play is, this cleat will be quick to develop those skills in you, especially smart pivots and turns. The casual appearance also leaves one to wonder whether it can even allow a defender to make a far pass. Surprisingly, many players have stood witness to the shocking accuracy of this stylish Nike number. With the right skills, a defender can make a hard pass effortlessly across the length of half the field, which is enough to get the ball to their team’s forwards. For its appearance and features, the Tiempo Genio II has such a low price tag for those who consider that when buying cleats. This one’s for the defender who occasionally plays and would benefit from a cleat that can turn from game shoe to casual shoe in a change of an outfit. ​Your bare necessities in over 20 different fashion color ways. ​As mentioned, defenders are not big stars of the game, but they play major role in the game. 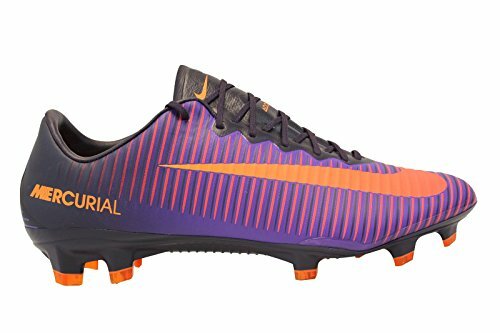 The ​Nike Mercurial Vapor XI is just the right kind of cleats to at least reflect the fiery adrenaline in defenders that drive them to halt strikers in their tracks and get the ball back to the team. In various colorways, the Mercurial Vapor XI showcases the serious business that defenders deals with. You can see it in the prominently embossed horizontal ridges across the entire leather upper. It’s most helpful on the vamp and the instep, which defenders often use to make quick passes to their teammates. It’s all owed to the classic Nike features of enhanced ball touch for a long-lasting durability that lasts the whole game through. It’s said to have the same feel as in a barefoot style cleat. This leaves less pressure in making mistakes because the soft touch aided by the ridges corrects the kick nevertheless. The low profile toe box allows a defender to get under the ball while it’s with the opposite team. This makes way for quick steals and passes that immediately gives their teammates a fair advantage while the other side recovers from the quick turnaround of the game. Comfort is not missing in this design-heavy cleat. It has a perforated sockliner that not only allows a snug fit, but is also cushioned low for reduced pressure on the feet. The outsole is also made of a nylon plate with equally spaced studs for speed, traction, comfort, and support. The functional yet beautifully designed Mercurial Vapor XI is all owed to the style and look of Cristiano Ronaldo’s inspiration. This limited edition appearance is not to be missed for any defender’s collectibles because this one is rare to come by with both the function and style solidly intact and aligned. Not a fan of any of our picks? 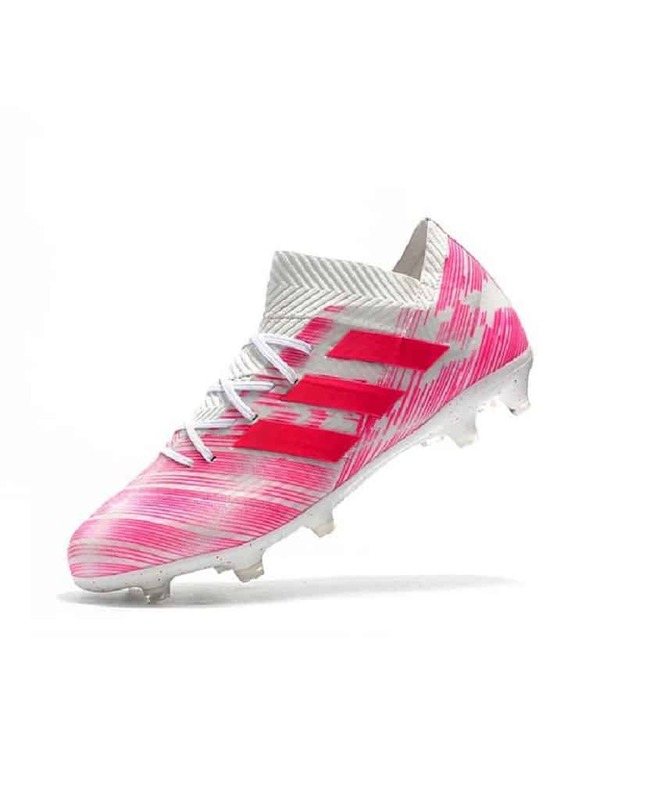 Nothing wrong with looking deeper into the market for what you think would be the best cleats for you! Going into it without the right background knowledge is the mistake that will put you two steps behind in the cleat search and ultimately on the field. Here are some things you should always consider if you want to be the best at being your team’s defender. Take only what’s true to your playing style. Set out to find the right soccer cleats for a unique defender like you. The amount, placement, and shape of the studs are all supplementary to how sharp you move on the field. Defenders are more likely to make quick turnarounds and cuts. Sometimes they have to keep pace with speedy strikers who are aiming for the goal. For the former, it requires a lot of technique. It’s how you outsmart your opponents, but only if you’re able to pivot quickly. Circular or cone-shaped studs are most helpful in this technique-driven style of play. On the other hand, defenders whose specialty is speed can benefit better off of bladed studs. This kind has the sharpness that can penetrate through the ground and, in effect, propel you toward any direction and catch up with fast players. There’s a third kind—triangular studs—which marries the functions of the first two. The pointed ends have the power of bladed studs to latch on and off the ground while still being smooth enough as the circular studs to change directions just as quickly. As for the length of your studs, defenders’ cleats could do more when they’re longer. Typically, studs are sized at half an inch from the sole but for defenders, whose cleats need to be able to dig into the pitch during tackles, they should opt for three-inch studs, or even half an inch higher. ​Defenders do more of passing the ball than dribbling or shooting. Picking a pass requires a great amount of accuracy, especially since ball passes that comes from a defender typically has to reach far down to your front line. One wrong kick and the game could turn quickly towards your side of the field. A good ball touch all over is a given as a helpful feature, but a focused ball touch on the sides of your soccer cleats are more a defender’s shoe. It’s usually achieved by some shaping or contouring on the instep, where defenders and even other soccer players can aim for a further kick. It allows you to direct the ball on harder shots like passes where you’re aiming for a specific teammate instead of a wide goal. ​Sprints, tackles, jumping, and duels are all a part of doing a defender’s role. A snug fit on the inside of the soccer cleat is not going to be enough. A locked-in ankle collar matters a lot because if your soccer cleat ever has some gap on any side of your feet, on the opening of the shoes, or around the ankle this is where you’ll feel the looseness the most. You’ll be most aware of it when you sprint. In the same way, a strong heel counter is also synonymous to support, especially when jumping or landing. The heel counters are notorious for causing the worst blisters, and a good snug one is detrimental to good performance. Defenders often have no fear in tackling and taking on players of the opposing team. They can only do that if they know and are confident in their minds that their cleats are going to support them in this high impact and intense contact game. A thicker upper, preferably with a cushion within it, is recommended for defenders who do these action skills, especially lateral movements in frequent intervals throughout the game. This ensures their feet are protected, and it’s supposed to provide support when halting an incoming attacker mid-run. ​You can get what we say is the best cleat for a defender and it can work hard for you, but there are skills your shoes just can’t have a direct control over. They can only enhance what you already have! Recognize these qualities in yourself as a defender. Then use it to find the soccer cleats that target and ignite these skills in you, and gain a deep advantage in your next game! ​Modern day soccer requires more from defenders than it used to. Soccer-specific stadiums have stayed fairly the same. Nowadays, some defenders are tasked to cover wider ground, wherever an agile winger could reach. It may not happen every game, but in theory, they basically should cover the entire width of the field if it comes to that. Speed is no longer a secondary quality next to strength for tackling. ​Certain soccer cleats promise speed-enhancing properties for defenders who need the boost in this department. ​Stability should never be left out in a defender. It’s a crucial skill that allows them to survive and win out in tackles, one of if not the defender’s main responsibility out on the field. Stability should never be left out in a defender. It’s a crucial skill that allows them to survive and win out in tackles, one of if not the defender’s main responsibility out on the field.​ Stability in soccer cleats is ensured if the specific stud configuration focuses on the back and front part of the soleplate. This particular arrangement makes it so that the defender is supported in quick turns and protected for one-on-one duels. You could easily mistake agility as meaning the exact same thing as speed. In soccer, it should be more than an increased rate. Agility, when applied specifically to a defender, mixes skill and technique with speed. You can also say it’s the integration of speed into their style of play. The brain comes into the picture for agility. You need a sharp and quick thinking mind to outsmart your opponents, prevent strikers from getting further towards your goal, and take the ball back to your team. As mentioned, soccer cleats’ studs have a major role to play for an enhanced agility. At the same time, impeccable ball touch through a textured upper will make for accurate crosses and kicks. Strength and endurance relies greatly on the player. Soccer cleats can only do so much but they don’t really have the power to equip you in matters of contact skills. However, cleats can contribute in this aspect through kicks and passes that defenders are inevitably tasked with. ​Defenders are players with a punch. They’re not the star players, but they come at you with fervor. 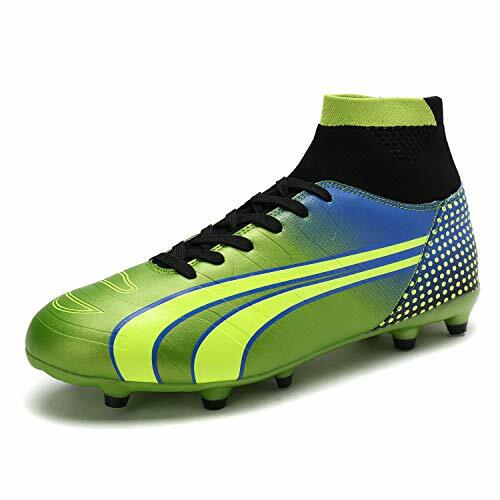 These soccer cleats, or at least soccer cleats with our recommended features and qualities, make the best defender out of you. Copyright ©2019 by Athletic Lift.